Understand who your customers are by offering one-click guest WiFi access via social media accounts. Conduct targeted digital advertising for select customer groups. Use rule-based marketing platform for real-time personalized communication. Sellpoints is an e-commerce optimization platform that enables brands and retailers to engage consumers with targeted shopping experiences that help them make their desired purchase decision. Sellpoints enables brands to share their product stories on retail websites through interactive content experiences that engage, inform, and inspire shoppers. In addition, Sellpoints provides robust data and insights to help our clients make informed business decisions on how to optimize their product pages. The results are increased sales and a reduction in costly product returns. Sellpoints allows clients to fully enrich their SKUs with interactive content experiences that include marketing content such as videos, product tours, image galleries, 360 views, short animations, customer reviews, product comparison charts, and much more. Alkemics is an intelligent platform that connects brands and retailers to help them market and sell their products everywhere. Bar & Club Stats ID Scanner is a smartphone, iPod or iPad ID scanner app for bars, restaurants, clubs, dispensaries, vape shops, casinos, etc. Beaconic enables the use of iBeacon technology for any business located in Europe or the United States. 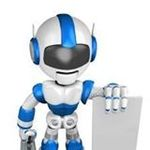 Bravo Pawn Systems is a POS software that offers an affordable option while providing innovative software, integrated eCommerce, powerful mobile applications, and out of this world customer support. Breinify is a time-driven AI engine to drive sales. CASA is an intelligent retail marketing and CRM software with a host of features that will help you acquire more customers and engage in a more personalized manner for delightful customer experience. The Collaborative Channel Commerce (C3) Software-as-a-Service solution mitigates channel conflict, guarantee complete brand control, and enhance the relationship between manufacturers, distributors, retailers, sales associates and the end user. ConsumerLink Pro® is a comprehensive, turnkey solution that enables your dealership to sell OE parts to online shoppers. Cosmetri is a simple to use, affordable and secure web-based software for businesses who design and develop their own cosmetic and personal care products. CrossCap Store Profile and P.O.P Management Software gives marketers the ability to efficiently manage all in-store marketing projects and optimize the distribution of their visual elements, ensuring the right signs get to the right stores in the most cost-effective manner. The software allows store profiles & groupings based on configurable attributes such as format type, fixtures, climate, and demographic All features are now available on a mobile app. Digital Midmarket Platform aggregates and analyzes data from your retail, energy, security and fire systems and presents it in an easy-to-understand and easy-to-action interface. Your building – and non-building – systems are generating data from equipment and systems, enabling new insights and informed decision making. With the right platform to collect, process and display the data in an actionable way across your entire portfolio of buildings, you can make data-driven decisions to enhance your business. Johnson Controls You'll find ways to increase business revenue, reduce energy costs, minimize equipment downtime, and decrease maintenance spend. Bring more qualified shoppers to your dispensary and dominate your local market with the best marketing tools and expertise. DISTRIBUTE is a software platform dsigned to connect wholesalers with retailers, allowing for easy discovery and purchase of wholesale products. Essence Manager is a specific ERP software for chemical industries (Flavor and Fragrance, Cosmetic, Health Care) for dealing with their stock and helping them with the plan. Generation Cost Calculation, unit change, and IFRA coordinating are incorporated. FluentCRM is a comprehensive, web-based Loyalty CRM application for the Retail segment. Fusio by S4M provides a holistic view of campaign data from impression to conversion. Hisably offers an immediate, complete set of controls for managing a convenience store's bookkeeping. Instead of taking notes in a ledger and then comparing them at the end of the month (or sending them off to an accountant) is possible to get important information about the store instantly. intelloBuy is a software that estimates bulk fabric requirement on the basis of real time markers, which helps factories to get real time money saving. KwikBilling is a billing solution with features for expenses, reporting, and invoicing. LiateR is an interactive solution for clothing retailers that allows customers to virtually try on clothes and accessories. This SaaS solution enables you to visually plan based on consumers' actual buying behaviors, guided by data science and analytics. With the near-limitless scalability and agility of JDA Luminate Assortment, the power is back in your hands. Hi there! Can I help you find the best Other Retail solutions?